Small employers, and their brokers, are setting up Premium Reimbursement Programs to reimburse employees for individual health insurance. 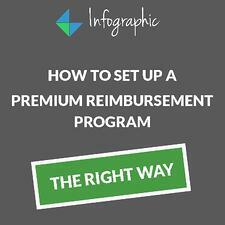 This new infographic outlines five steps for setting up a Premium Reimbursement Program the right way. What infographic on small business health insurance would you like to see next? Leave feedback or questions in the comments below.